Just 4 miles west of UC Davis' main campus sits a sliver of wildness called Putah Creek Riparian Reserve. On a recent spring day, below a canopy of valley oaks and eucalyptus trees came a twittering of chirps, trills and quacks. 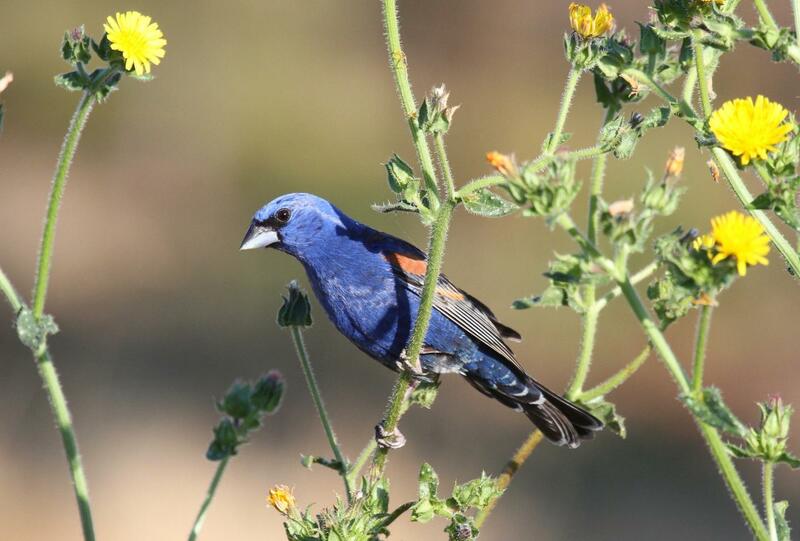 "Since 1999, the year before the water returned, the density of the breeding birds on lower Putah Creek has more than doubled," said lead author Kristen Dybala, a postdoctoral scholar at UC Davis during the time of the study and now a senior research ecologist with nonprofit Point Blue Conservation Science. "That's just kind of incredible to me." Those species aren't just the birds one would expect in urban environments, such as crows and scrub jays. Less common riparian and woodland birds, such as yellow warblers, spotted towhees and song sparrows are visiting in increasing numbers, which is a promising sign for the health of this ecosystem. "These are benefits specifically to riparian birds, which depend on this streamside habitat and have been less common along Putah Creek," Dybala said. "Some of them nest on the ground; some require tree cavities; some require shrubs. If you're looking at this whole group and they're all improving, then you have a better idea that the entire ecosystem is functioning well." The creek is narrow, no wider than a two-lane highway at most. But while its footprint is small, its impact stretches well beyond the water's edge. Separate UC Davis research by graduate student Robert Walsh indicates that tree swallows up to a quarter mile away use Putah Creek as one of their favorite dining spots. Isotopic analysis of their diet showed that more than two-thirds of the insects they eat come from Putah Creek. "The insects are an amazing food source around the creek," said this study's senior author Melanie Truan, a staff research associate with the UC Davis Museum of Wildlife and Fish Biology. "It's the pulse of this insect life living along the creek — if you improve the instream environment, you improve it for both aquatic and terrestrial life." "Putah Creek is this little relic of what used to be in the valley. It's kind of amazing that it's still there. If it hadn't been for the people who fought to protect the water in it, it would just be a ditch," said Truan, noting the influence of the Putah Creek Council and its volunteers on its restoration. "When you step down into the reserve, you feel like you're in a whole different world. It really is a singularly unique place that engenders a lot of really wonderful feelings." The study's additional co-authors include Andrew Engilis Jr., John Trochet and Irene Engilis from the UC Davis Museum of Wildlife and Fish Biology. The research was funded by Solano County Water Agency, Putah Creek Council, CALFED Bay-Delta Program, U.S. Environmental Protection Agency STAR program, California Department of Water Resources, U.S. Fish and Wildlife Service, California Department of Fish and Wildlife, Selma Herr Fund for Ornithological Research, the UC Davis Museum of Wildlife and Fish Biology, and the cities of Davis and Winters.